Phillip R. Van Ness | Webber & Thies, P.C. Environmental, Real Estate, Agri-Business, Power Generation & Alternative Energy Law; Municipal Law; Administrative & Business Law, including Intellectual Property (copyrights and trademarks). As a member of the firm, Mr. Van Ness has represented persons and corporations accused of environmental violations by the Illinois Environmental Protection Agency (Illinois EPA) and U.S. Environmental Protection Agency (USEPA), as well as persons and companies whose properties have been affected by environmental pollution emanating from nearby properties of others. He provides legal counsel to persons and firms that are unsure of how to meet their environmental obligations, and to firms applying for necessary environmental permits. His practice experience includes court trials and contested case hearings before administrative tribunals. Mr. Van Ness’s environmental practice traces its origins to almost ten years as a staff attorney for the Illinois EPA, concentrating in water and land pollution issues, including hazardous wastes and leaking underground gasoline storage tanks. He left the Illinois EPA to accept a position with the Illinois Pollution Control Board, where he served in various capacities for five years, most recently as its Chief Hearing Officer. In both agencies, he served as an advocate before the Illinois General Assembly with respect to environmental legislation, and served on task forces which drafted numerous environmental laws ultimately adopted by the legislature, taking advantage of his experience as Rules Review Section Manager of the Joint Committee on Administrative Rules (JCAR), an agency of the Illinois General Assembly. In the course of his intellectual property practice, Mr. Van Ness has counseled and represented clients in obtaining registrations for copyrights, trademarks and service marks, both state and federal. His real estate practice extends to matters running the gamut from individual residential closings to subdivisions and ordinances. He has appeared before committees of the General Assembly as well as local zoning boards. Mr. Van Ness has lectured extensively at continuing legal and professional education events sponsored by the Illinois State Bar Association, the Lake Michigan States Section of the Air & Waste Management Association, the National Manufacturing Conference, the Illinois Professional Engineers Association (Champaign County), Roosevelt University and the University of Illinois School of Veterinary Medicine on environmental law topics. Mr. Van Ness has served as Chairman, Vice-Chairman (currently serving in that capacity for the second time), Secretary and Newsletter Editor of the Environmental Law Section Council, as Chairman, Secretary and co-editor of the Real Estate Law Section Council and as a member of the Intellectual Law Section Council of the Illinois State Bar Association. He is a Charter Member of the Government Bar Association and a member of the American Bar Association, Bar Association of the Central and Southern Federal District of Illinois, and Champaign County Bar Association. Co-Editor and contributing author of Environmental Law for Transactional Attorneys, published by the Illinois Institute for Continuing Legal Education in 2001 and Supp. 2005. Co-Author, “Rebuttal to Construction-Permit Water Regulations Article,” pp. 320-324, Chicago Bar Record (May-June 1981). Mr. Van Ness is a former member of the Champaign Unit 4 Board of Education. 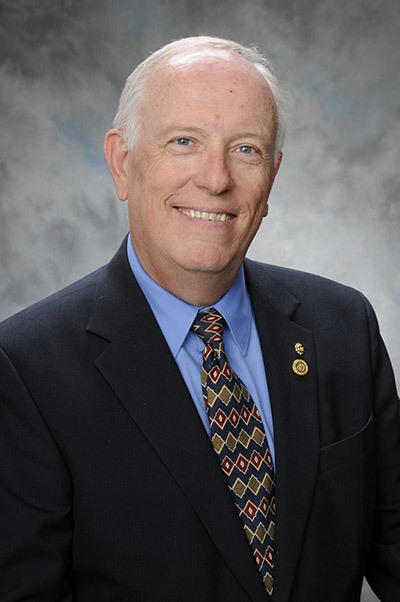 He is a former member of the Champaign County Chamber of Commerce Governmental Council, a Past President of the Savoy Rotary Club, former Chairman of the Board of the Champaign-Urbana Community Schools Foundation, and currently serves as Vice-Chair of the Land Conservation Foundation. Mr. Van Ness and his wife, Cheryl, reside in Urbana but spent most of the last 20+ years in Savoy where they raised two daughters. One of their daughters and a granddaughter live in Champaign, while the other daughter lives in Urbana.